The conventional wisdom used to be that there was no spot on earth that hadn’t already been mapped and surveyed. But in recent decades, artists have been showing us how much we’ve overlooked, inventing or postulating new criteria to help us locate our surroundings in fresh ways. Among these artists is Ken’ichiro Taniguchi, who since 2000 has been defining his art of the urban map using the Japanese concept of hecomi (crack, indentation, or, figuratively, exhaustion). 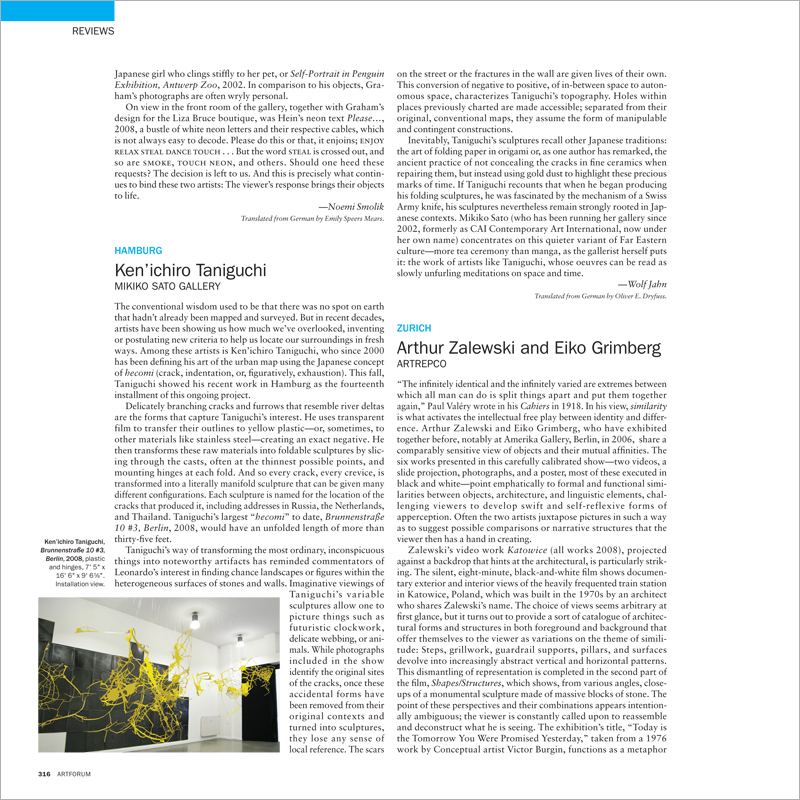 This fall, Taniguchi showed his recent work in Hamburg as the fourteenth installment of this ongoing project.